Vinturi Aerator and Wine Review! “It looks like a sculpture.” “What are those mesh things…does that thing have speakers? !” These were the reactions from the wife and the boy when I set up the Vinturi Deluxe Aerator. When wino friends showed up later that evening for wine and dessert, they ooohed and ahhhed, exclaiming, “I’ve got to have one!” I’m not sure paying $80 for a conversation piece is worth it, but I have paid more for things that are far more useless and look way less cool! So, why would you possibly be in the market for a Vinturi Aerator? Simple…in a word…impatience. We live in an impatient, instant gratification world. Here is what I mean. A lot of good red wine is not meant to be bought and consumed instantly. Patience is required to properly cellar the wine so that the tannins soften and the wine matures with 3-10 years of aging. Can’t wait…decanting can help. Decanting is the process of pouring the wine into a glass enclosure that allows maximum exposure of oxygen to the wine. Decanting a wine for 1-3 hours can significantly blow off a dusty earth, cork or oak smell and can also soften the strong chalky tannin found in a lot of big red wine. Don’t have time to wait 1-3 hours? Insert the Vinturi Aerator. So, does it work? I haven’t done exhaustive research but with the three wines that I have tried I can conclusively and definitively say…I THINK SO. The aerated wine was more open in flavor and aroma. The most expensive wine (not on video) benefited the most. The wine was good before the Vinturi but it was something special after going through the modern art sculpture. The Vinturi Deluxe comes with a cool table top base and stand to hold the actual aerator. There is also a nifty travel bag for when you want to be the ultimate wine geek and take your fancy toy to wine parties (be prepared to be mocked). The Vinturi is available for under $50, the deluxe kit is available for $80. Personally, I think it’s a pretty cool gift idea for the wino that has everything. The fine folks at True Fabrications (did you catch the nifty play on words there) – provided me with this sample to review and they want to give ONE LUCKY reader one to try too (free shipping too). True Fabrications is a pretty cool wine accessory shop. They’ve got some pretty fantastic things for entertaining, picnics, parties, and gifts. Once you’re done entering the contest, hop on over to their web site and look around. Here is how you enter to win. Leave a comment on this post. Your email address will remain confidential and you won’t be added to any list. One winning comment will be selected on Friday afternoon for the Vinturi Deluxe Aerator kit. Watch the video, you’ll see it in action AND there are two wine reviews too. The Score: At $17 I can easily score this wine a 3+ out of 5. It would work for sipping or pair well with grilling, big steaks, pork, pasta and pizza. A fantastic every day red wine. The Sniff: Upon first sniff the wine was oak first then layers of dark berries. Most other aromas were covered by the oak. After aeration, the wine opened up a little more to present a good pepper spice. The Sip: A slight sweet cherry fruit on the front palate with a woodsy chalkiness that settles on the back part of the tongue. Moderate acidity with subtle vanilla and cocoa spices on the finish. The Score: A fairly complex wine with good structure. Leading with heavy oak keeps this one from scoring high. 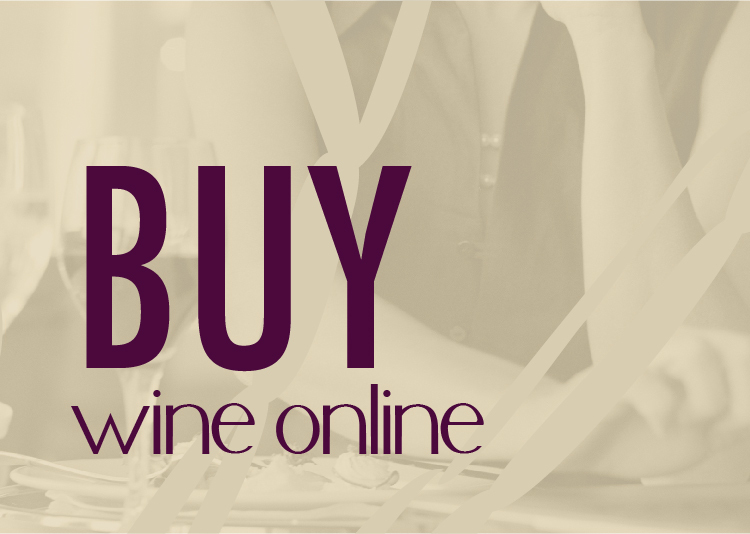 It’s a great value and a wine for lots of occasions. Better with food. I score it a 3+ out of 5. I own one of these deluxe sets myself, and I would throw my support in behind it. It’s a great substitute for decanting on the fly. Got the “non-deluxe” Vinturi aerator a couple of weeks ago as a gift. It appears to be the same sans the cool looking stand. It’s the size of an egg and includes a small holder/base and carry bag. Vinturi suggests that you do a head to head test with a straight pour in the glass tested versus a Vinturi aerated glass. Then, just to reconfirm the impression, taste the non-aerated glass again. My wife and I did this with an open bottle of Malbec that I felt might be passed it’s prime. The non-Vinturi glass tasted “ehh,” but the aerated glass had life, with a lighter flavor with revived fruit. Vinturi worked! Minor downside: dribbles out the holes and confusion with the NFL placekicker. We also tried the Vinturi and the decanter together! Thank you for this opportunity & information. I have never seen that type of Aerator before. Probably because I am new to the Northwest & living in wine country. Since I love red wine, this would be a great addition to my new & upcoming wine collection. I own a standard Vinturi and swear by it. When pouring at Wineries that sell these I can usually sell out of them by giving before and after tastes. I don’t own one of these, but have several decanters which I line up when serving more than one wine for a dining or tasting event. Then they sit quietly while we wait, sipping occassionally to see if there is a difference. Many of the younger blends were developed to not need decanting. We have some older wines that we won’t drink without decanting. It always helps to taste the wine before you buy so you can judge if it is ready to drink or needs to sit in the cellar for a bit more time. I believe strongly in aerating my red wines before serving them as it adds to the complexity and greatly enhances the enjoyment of any red wine. I would be very interested in seeing just what sort of difference this quick aeration would make in a non-decanted young wine. I thnk it is an interesting concept and would love to try one. I tend to frequently decant my reds. Being a traveler, sometimes it’s not always easy to accomplish … the Vinturi looks like it may satisfy my needs. I’ve seen this aerator at a wine bar; my wines deserve one or three of these! I would love to try one of these! Looks Awesome. I have a basic Vinturi as well, but tend to use the Wine Soiree more often because I think it’s a little more effective. Vinturi is great stuff. I used it on godawful box wine, however, and it worked in opposite… it’s like it stripped away what little flavor was there. But on anything other than ram’s piss, it works awesome! Sounds great to enhance your wine drinking experience. I would love to try a Vinturi. I have been using the hand held one for several years now, since it first came out. The deluxe one would be soooooooooooooooooo cool and I could use it for special pours at the Ajax Cafe…a true eye (and sound) catcher!!! We have the standard or original and we love it! I’d really like to win this deluxe version! Keep the comments coming folks! Great to hear how each of you currently use an aerator or would love to have one! I have tried the before use and after use at a tasting room and was amazed with the difference. I just hate the wait when a friend drops in and can’t wait for decanting. 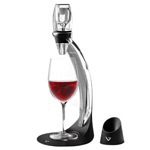 I would love to have Vinturi Aerator at home for the next drop in friend. Gary, Thanks for stopping by! I’ll add your name to the list and announce the winner Friday evening! I’ve never aerated my wine so learning about the benefits of doing so was good for me…so would be having one of these very cool things to do it with! me .. me … me… I would love to have a Vinturi Aerator – I’ve never had the chance to see or try one – but it sounds fabulous and I want one! I’m getting married on July 24th, and since we’re doing a wine/grapes theme with an Italian dinner this would be perfect for the red wines we’ll be serving. I was at Eclectic Gifts in Liberty Lake this afternoon and they have them for sale, but I think it would be much nicer to receive it as a wedding gift. I’m excited to try one out. Hope I win!! I wonder though, if you had, say a properly aged bottle of wine and you use this if it could make the stuff fall apart. Kind of like Steve Paulo mentioned above that it stripped his box-wine of what little it had. Nonetheless, I’m interested in hell as trying one of these things out! What a great idea! I was born without patience, so this is perfect for me. It would also be useful for gallery events. Yes, I want one. I have never used one of these before, but would love to try one. I was at a wine tasting event and one of the wineries was using the hand-held model as they were pouring their samples. I have been drooling over this aerator for a year. Our wine group meets once a month and one member brought this mystery orb out of a felt bag and we all went, “Huh?”…then the sound, well at first it was a little suprising, but then when we did the before and after taste test, kaboom! Instant appreciation for this dyanmo! Since then my friends have gotten one, and I drool, and I price them everywhere and I gotta say, this sculptural device would be awesome. I’m all about purposeful art pieces. Would LOVE to get one of these Vinturi’s…I always decant, but sometimes it is hard to get the needed time in a decanter for optimum drinking. Gotta get one! 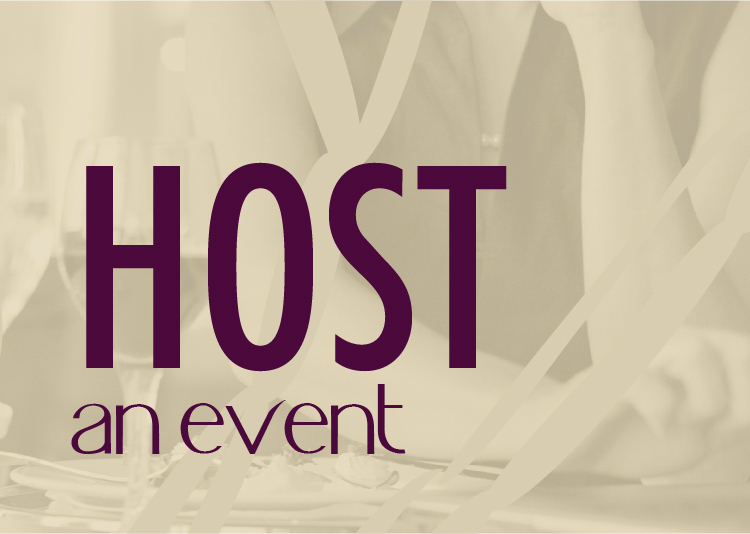 Eve – maybe we should test that theory out with a few bottles of Chelan wine this weekend! Would love to try one in a blind tasting! this sounds really fun, what a great way to enjoy your wine, and it’s instant which is just so much better! My wife and I are the impatient people Josh talks about in his review. Sometimes we decant (ok we have done it maybe twice in the decanter we received for our wedding) but cork and pour normally. We would be honored if you chose us to be the recipient of this great work of art and wonderful taste infuzing wine aerator. We would use it every time, one to enhance the taste and two it looks like fun. Ooooh- Jeff and Darah have doubled up their chances to win! Goo idea! I have been looking for one of these! Wow, I would love to own one of these! My brother has one and we tried it with three red wines a couple weeks ago. I am an “old school” decanter kind of guy, but I have to say, I was really surprised how the Vinturi worked. Tried it again last Monday with the Tweet & Taste Michigan and it came through again. I am a fan! I was skeptical of this device, we have the non-deluxe version when my wife returned from Spokane with one. It works. I think it opens the wine up like maybe an hour or two. I don’t know that it’s earth shattering but it definitely mellows out the tannins in a way that is reminiscent of decanting but if you’re not going to drink the whole bottle this is a perfect replacement. I don’t use it all the time, but it’s a good little gadget and it’s not a gimmick. It works. Excellent point, Clive. I love your last line…It’s a good little gadget and it’s not a gimmick…it works! Thanks for stopping by. I have a friend who swears by the Vinturi…. Guess I better give on a whirl! Very attractive, seems to have great form and function. This looks totally awesome! A perfect addition to my collection! Who can wait one to three hours to drink a glass of wine? Sign me up!!! Josh, great post and I have to say that I was rather pleased with the way the aerator worked. So many people don’t realize the benefits of decanting wine this gives the people that don’t have time, and that don’t drink a full bottle a chance to experience what a red should taste like. It doesn’t replace decanting totally (ie allowing the sediments in the older wines to separate), but it is a great substitute. I love the comment that says that it is not a gimmick, it really works. I agree it really works! Can’t wait for our Chelan trip this weekend! Have a safe trip home. If nothing else, it makes for an interesting conversation piece. Not everything that looks pretty, after all, needs to be functional — i.e. a lot of aesthetically pleasing pieces of art. I do think it a shame, though, that society seems to be in such a bloody hurry for quick satisfaction, these days, that they’re always on the outlook for shortcuts and in such desperate need to have at them. Whatever happened to the days of giving a good wine all of the time it needs to age properly, THEN opening it, THEN decanting it, THEN waiting to drink it with a bit of good conversation in the interim? Or has good conversation, as well as waiting and reading, gone the way of the Dodo? I’m thinking if you don’t have the time to drink wine the way it should be drunk, and show it the attention it should be shown, and treat it the way it should be treated, then maybe, just maybe, you shouldn’t be drinking wine it at all. After all, God made water for a reason. Ahhh, William embedded within your comment lies the reason such contraptions were invented…the lack of patience in our American culture. We don’t want to spend hours reading a book…we’d rather watch a movie. Conversations become a bore because there aren’t the multiple quick camara changes and intense explosions like we see on TV. Wine is purchased opend and consumed within a 24 hour period. It’s been a pleasure getting to know you…cheers! I could really use one of those at the house, I love nothing more than a left bank Bordeaux but all I can ever afford is tight, young monsters that have to sit on my counter in a traditional decanter looking me straight in my salivating palate!! It would really cure my anxiety issues!! I am a relative newcomer to the passion of wine tasting so am always open to the great suggestions of others I find at this site. I have really been very pleased with most of the suggestions. The Venturi would certainly help me learn to love the reds a lots faster. I definitely NEED this in my quest!! Sue welcome to the wonderful world of wine tasting. I hope you enjoy the journey. I’ll definitely add your name to the list of potential winners! This looks really fun. I hope I win! I love good wine and get impatient waiting for it to open up. I am skeptical, but would love to give it a shot! aerator! I’m also really lucky! I love art, and this looks like art! Oh man..this would SO beat using my two plastic juice pitchers to introduce a little air into my red wine!! This is totally groovy and cool!!! Nobody moderating the site accepted my comment….sigh……and the contest is over now……sigh……….. I want to CONGRATULATE – Melinda Knapp on winning the Vinturi Aerator Deluxe kit. Stay tuned for more give aways and thanks so much for participating! My wife and I had a chance to try one of the Vinturi Aerators while wine tasting close to home at the deLorimier Winery in the Alexander Valley. They have a double gold and a single gold Cab that was poured into my glass regular and into my wife’s glass run through the Vinturi. My understanding is as the quality of the wine improves, the effects of the Vinturi become more apparent. I would agree and could identify a marked improvement in both nose and on the palate. The lady working the tasting room indicated she always gives the man the standard pour and the lady the Vinturi pour. This is because women prefer the softness the Vinturi creates while men are less put off by a little more oak or tannin kick. We were invited to taste out of each glass for comparison and I was impressed. I must have one and $$ was a little tight to get one at the tasting room at full list (but we did buy a bottle of their excellent wine), so if you still have your contest going on, count me in. We will make great use of it with both budget and the double gold stuff. I am really curious what it does to some Yellow Tail Shiraz that has a little too much wood when you open it young, but could be a real bargain after it is Vinturified! Nectar Tasting Room is now Nectar Catering and Events with weekday lunch service, beer on tap and local Northwest wine. Enjoy life with friends, drink happy!